The first step to covering a pumpkin in glitter is to apply an adhesive, in this case mod Podge. Use a sponge brush to coat small sections of the pumpkin in glue. Then, sprinkle and pat the glitter into the glue. 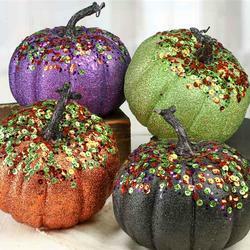 Once the entire pumpkin is covered in a strong layer of glitter, let it dry. Later, to keep the glitter put, coat the entire pumpkin in another layer of mod Podge and let it dry. This one can get messy, so be sure to cover your workspace. First, paint the pumpkin with a solid layer of paint. Then, once that layer is dry, dip a paint brush in your other color(s) of paint. Next, flick the dripping paint brush against the popsicle stick, over the pumpkin. Paint will fly off and create a splatter effect on the pumpkin. Once the entirety pumpkin is splattered to your liking, let it dry and you’re done! If your aesthetic is like mine, then you also love the design of the very popular marble. Whether you want to make a home made gift for a friends or family, or you are redecorating your room this easy craft will be perfect and fun. the idea is to basically use a tile as your canvas and to then be as creative as you want from there but I wanted to share my suggestions. First choose a tile sample that could be found at Home Depot or Lowes. There are many chances to get creative with this project, especially when it comes to this step. If you want to choose a sample tile that is a specific color each store offers tile that is brown, tan, white, black, and gray. They also offer different sizes and shape (I choose a rectangle for my project). The price of the samples range from $4 to $20 dollars, I myself would choose the cheaper sample for this specific project because you are going to decorate it to make it pretty. Once you get the tile you can look up phrases to paint or write on to the tile, or google an image you would want to paint or draw on it. 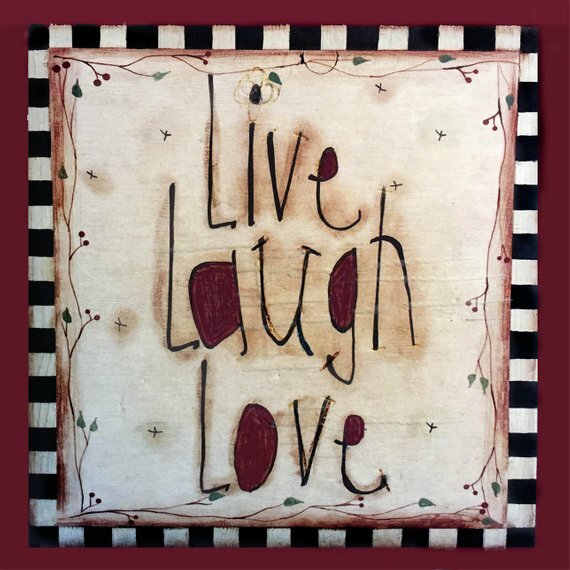 I choose the phrase “live, love, laugh” for one of my projects in particular because it is both simple but nice. I traced my phrase on to the tile with pencil first, and I would suggest doing this with a design also. Next, I used a sharpie to darken my phrase or image. 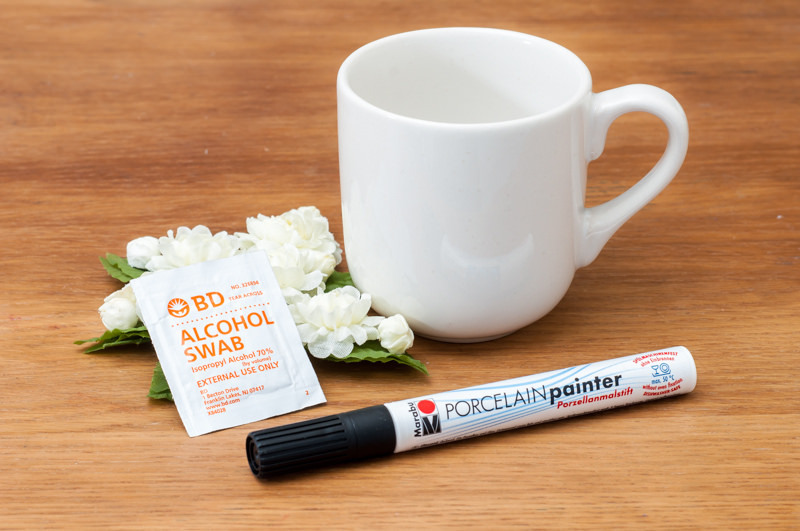 You could also use a thin paint brush and paint of a color in your choice to do this. To highlight the phrase I used glitter and glue and some puffy paint. I truly love this project because there are so many mediums you could use on the tile’s surface that would look unique and pretty. Finally, you can use it to accent a desk or bedside table or vanity, or you can have it resting so you can place things on it. If you want to give it as a gift I would suggest buying an easel from Walmart since they are cheap, so the receiver can display it on their counter or desk. Whether you wanted to express your aesthetic, make a personalized gift, or just love a rainy day DIY, I hope you can have some fun being creative with this easy and unique craft. In Voltron Legendary Defenders Season 6 we learned that Shiro died and Haggar cloned him. Meanwhile Shiro’s consciousness was trapped in the Black lion. Later, at the end of Season 6, Allura revived Shiro by putting his consciousness into Kuron’s body which caused his hair to turn white. Season 6 and Season 7 were a wild ride, that’s all I’ll say (because I don’t want to spoil it for those who haven’t watched all of Season 7 yet). And guess what Voltron Fandom? Season 8 is the final one in the series (sadness). It comes out in November. I can’t wait to see what happens. 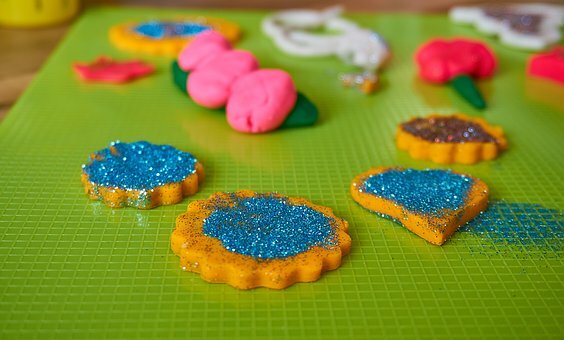 Homemade play dough is a great rainy day craft to make, especially if you’re with younger children or siblings. It’s easy, cheap, fun, feels soft and squishy, and is very creative! Food coloring of your choice – you can mix colors if you want. Plenty of paper towels and clean-up supplies. Bowls and spoons (plastic is better because there is less cleaning needed). 1. Lay down paper towels. In the bowl mix dry ingredients (*I suggest just using salt and flour- it’s much easier and will work better with only warm water, while mixing in the oil and tartar works better with boiling water*). 2. For one color, mix food dye into the warm 1/2 cup of water. For two or more colors- just mix in the water. Now would be the point to add oil. 4. Start to knead if you can- if the dough is to sticky add more flour. 5. For more than one color, divide the non- sticky dough and add the color by putting a few drops on each dough ball and mix it into the dough by kneading it; you might want to use gloves. The next steps are for fun and creativity. 6. Add glitter or sand. 8. Add pumpkin spice, cinnamon, or essentials for a fun scent. 9. Play! Kids love to play with it, and it helps to have accessories like cookie cutters or rolling pins. 10. Store play dough in storage bags so you can play and have fun all over again! It’s addictive! Be prepared to make more than one batch so you can experiment with all different smells, colors, and textures. It’s safe to eat but you really shouldn’t – it’s not good for your digestion so keep an eye on the kids when they are handling it. Be prepared to clean! Working with little kids is always messy but the flour and dye make it worse. I hope this recipe works for you! And may you make many fun, happy memories!